Would you like a taste of 'winged boar'? 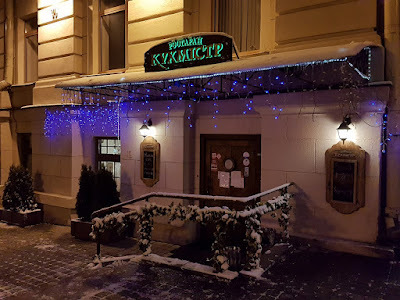 As one of the most highly rated restaurants in Minsk, Belarus, Kuchmeister offers delectable local and Lithuanian cuisine in a lovely setting. Finding the restaurant shouldn't be difficult as it's located across the Tank Monument near Aliaksandraŭski Garden Square. 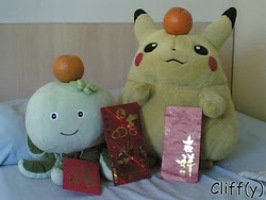 Pikachu was posing in front of his 'winged boar'. Read further to know more about it. 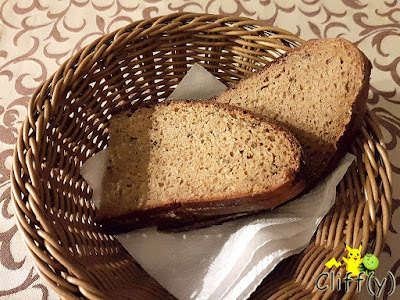 Two pieces of rye bread were served almost immediately after our order had been taken. Being adequately crumbly and fragrant, they weren't too dry. 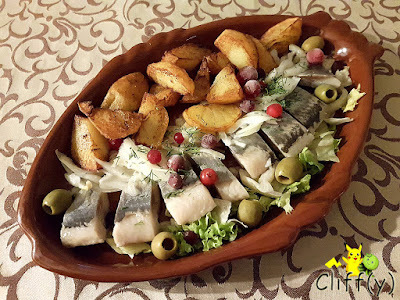 Pickled herring is one of my most favourite European delicacies. Kuchmeister's rendition was the best I've ever had in my life, for the fish was delightfully bouncy and cured well. The accompanying pan-fried potatoes were equally stunning with crispy exterior and velvety interior. The first thing that caught my eye when the dish arrived was the yogurt-based sauce with a touch of lime green from blended herbs. 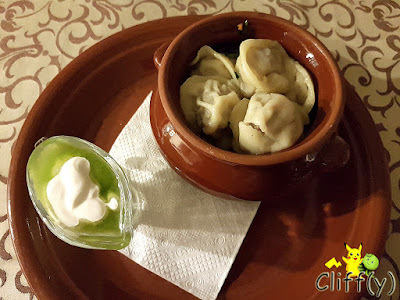 While the sauce could be more garlicky, it was a delight to pour onto the medium-sized dumplings filled with minced lamb, which were moist and tasty. 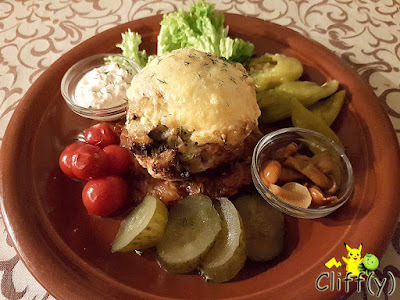 Khrysaor is a winged boar in the Greek mythology, which became an inspiration for the restaurant to come up with a big baked meatball made of minced chicken and pork. Topped with melted cheese, it was pretty decent and quite tender, but nothing spectacular. It's said that oranges were brought and introduced to the Polish-Lithuanian Commonwealth by Marysieńka, the queen consort to King John III Sobieski. 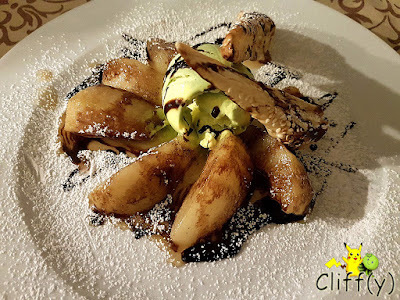 The dessert dish of baked pears with orange liqueur hit the right spots. For a contrast in terms of texture, there were crispy puff pastry and a scoop of mildly flavoured pistachio ice cream. Apart from the cheekily named main course that wasn't particularly sterling, the rest was really enjoyable. The staff were pretty amiable too. 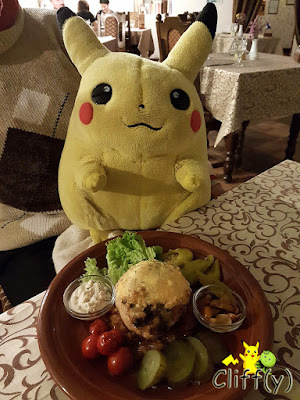 Pika's advice: Don't rush to make your order. Take your time to explore the huge menu. Some of the dishes come with more details than others.